He had previously been in good health with heart in normal condition, and medical opinion was that his death was probably caused by fatigue and strain in connection with organization of 149th Battalion. Born on Christmas Day 1869, Dr. Robert George Campbell Kelly was a physician and associate coroner in Lambton County, Ontario. As commanding officer of the 27th (St. Clair Borderers) Regiment, he offered to raise an overseas battalion from his home county in November 1915. He had belonged to the militia since 1885. Dr. Thomas Pinkerton Bradley replaced Kelly as commander of the 149th. Born on 7 January 1872 in Georgetown, Ontario, Bradley was a surgeon and medical officer with No. 2 Field Ambulance. 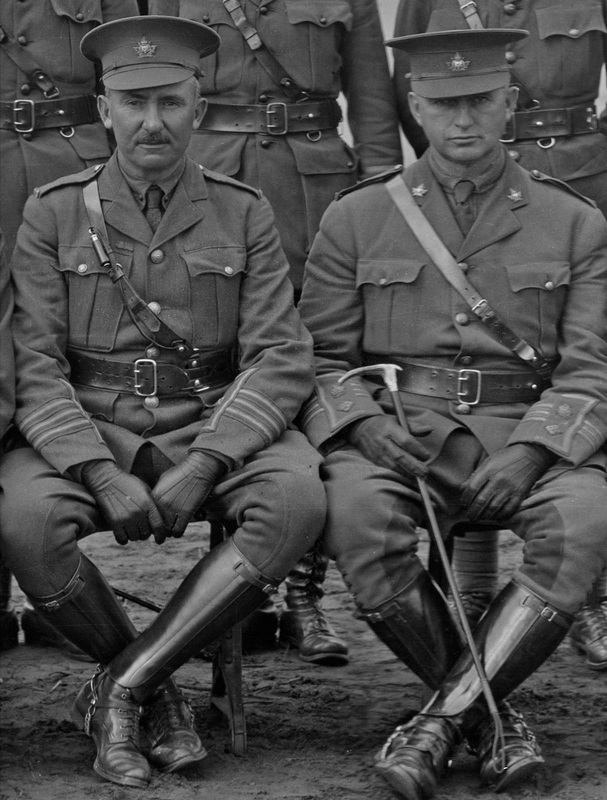 During Bradley’s tenure, he and his the officers organized a rugby tournament with the 118th Battalion, Western University, London and Sarina. After the 149th players roughed up the Western students in one match, the university athletic director banned participation in future contests. The Western supervisory board complained, “we entered a team under the impression that the games would be for sportsmen and gentlemen, but have found that such is not the case.” The 149th eventually won the championship against Sarnia on 3 December 1916. Bradley left the battalion on 11 November when he transferred to the Canadian Army Medical Corps. Command passed to senior Major William Wallace MacVicar. Born on 27 November 1866 in Sarina, Ontario, MacVicar was a railway mail carrier and had been second-in-command of the 27th Regiment. The battalion did not sail for England until March 1917, when it was formally broken up. Arriving in England in late 1916, Bradley became second in command of the Canadian Convalescent Hospital at Buxton. From December 1917 to May 1918, he was assigned to field hospital in France, after which he was posted to the Convalescent Hospital at Epson. Suffering from “dyspnoea and irregularity in heart action—occasioned by mental strain,” the forty-six year old was discharged as overage following the armistice in 1918. He died in Sarina on 30 June 1934. Thanks, John. That is quite the impressive tombstone.